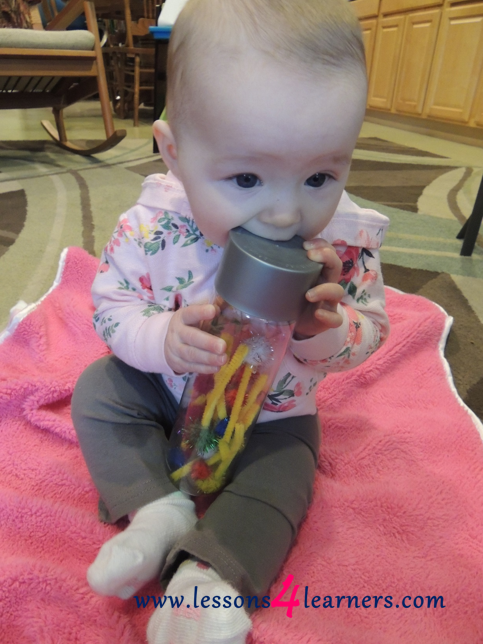 Create the sensory bottle by cutting the pipe cleaners into 2-inch pieces. Glue a pom pom onto the end and allow to dry. Put the truffula trees inside the empty water bottle. Observe and record the child’s reaction to the bottle. Did they make any vocalizations or faces?